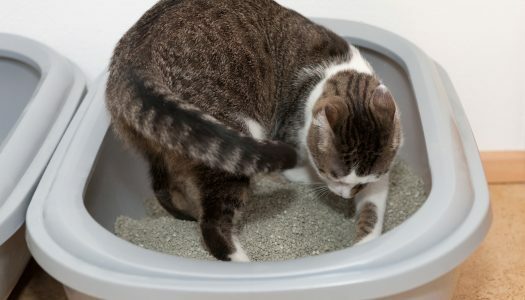 Let’s face it—nobody likes to manually clean a litterbox, and most people put it off as long as they can. If you have one cat, you might be able to procrastinate the dirty deed for a while, but multiple cats throw that luxury out the window. 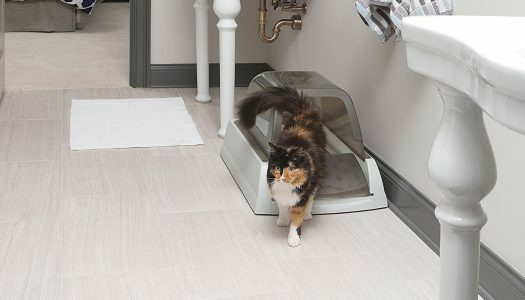 If you don’t stay on top of cleaning the litterbox for multiple cats, it’ll be a clumpy minefield every time, and if you wait too long your cats will probably stage a few protests by leaving little presents for you around the house. Kicking litter outside of the litter box is a common problem for most cats. We have three cats ourselves, and almost each one of them is notorious for kicking litter outside of the box. There’s a simple solution though really, and it’s top entry litter boxes, and also litter boxes with higher entry points and a deep bottom.